Here we are, at the business end of the season. Clubs across Europe are starting to get a good idea of what they are lacking, or what they need to take them to the next level. Once the summer transfer window rolls around, expect to see deals flying all over the place, as teams begin their preparations for the coming season. Here are seven deals for you to keep a look out for. Ralph Hasenhuttl has worked wonders with Southampton in just a few months, playing some excellent football to guide the Saints away from the relegation zone. He is now approaching his first summer transfer window with Southampton, and it looks set to be a busy one. One of the side's primary transfer targets comes in the form on Bordeaux forward Francois Kamano who, according to ​Noticias de Gipuzkoa, ​came close to moving to St Mary's Stadium in January. The powerful forward, who has also attracted the interest of ​Atletico Madrid and Monaco, is expected to cost anywhere up to €20m. Kamano has netted 11 goals this season and, at 22 years old, has been tipped for an impressive future. Big things were expected of Henry Onyekuru when he secured a move to Everton to 2017 but, through no fault of his own, things simply haven't worked out. The 21-year-old has battled work permit issues, and currently plays his football on loan with Galatasaray. The Toffees hope to secure a work permit for the Nigerian international but, if they cannot do so, it is thought that they may look to part ways with Onyekuru, and a report from ​Aksam suggests that both Sevilla and Marseille will look to offer him a way out of England. Belgian side Club Brugge are also thought to be keen, but a move to ​La Liga will likely be incredibly appealing to Onyekuru. This summer looks set to be a busy one for Watford, and it all revolves around star forward Gerard Deulofeu. The former Barcelona man has been in electric form this season, which has reportedly attracted the interest of another of Deulofeu's previous employers - AC Milan. Milan are keen to bring Deulofeu back to the San Siro and, according to ​Calciomercato, the Spaniard has already informed ​Milan that he would like to make the switch this summer. However, Deulofeu does not want to force through an exit from Vicarage Road, so it is now down to Milan to meet Watford's asking price of around €35m. Zinedine Zidane is back, and he's not messing about. The legendary Frenchman has already secured a €50m for Porto's Eder Militao, and the likes of Eden Hazard, Christian Eriksen and Harry Kane are all thought to be on his shopping list. Another man who could be making the switch to the Santiago Bernabeu is Roma midfielder Nicolo Zaniolo. The 19-year-old grabbed two goals against Porto in February which, according to ​AS, caught the eye of ​Real Madrid, and they like what they saw. Zaniolo has forced his way into Roma's first team this season, but he could soon be turning out for Los Blancos. What a few years it had been for Benfica left-back Alex Grimaldo. The 23-year-old left Barcelona in 2016 in search of regular first-team football, and he has never looked back. Grimaldo is now widely viewed as one of the Portuguese league's top talents, which has attracted interest from ​Arsenal and ​Manchester City. According to ​Sport, the two ​Premier League giants are ready to go head-to-head for Grimaldo's signature. Grimaldo has recently changed his agent, prompting rumours that he is looking to take the next step in his career. It is expected that plenty of European giants will look to involve themselves in Grimaldo's transfer saga, so this story has the potential to be one of the most intriguing of the summer. ​Alexis Sanchez has endured a tough year with ​Manchester United, but he could soon find himself on the way out, with the Red Devils plotting a summer move for Sevilla forward Wissam Ben Yedder. The Frenchman has netted 27 goals already this season, and ​The Sun state that United are ready to launch a bid to try sign him, as Ole Gunnar Solskjaer looks to add even more pace and dynamism to his forward line. It was Ben Yedder who eliminated United from the Champions League last season, netting twice in the round of 16 at Old Trafford, and he has been on their radar ever since. ​​Barcelona have long been on the lookout for a new striker to play second-fiddle to ​Luis Suarez. 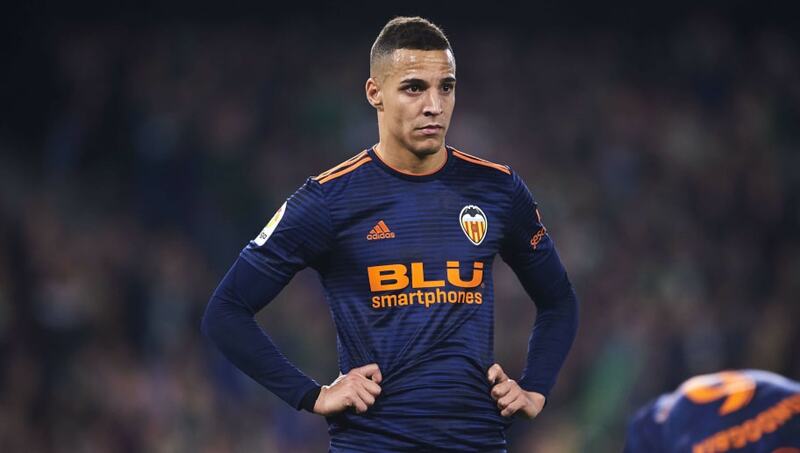 A January loan for Kevin-Prince Boateng has not worked out, and the Blaugrana have now turned their attention to Valencia's Rodrigo. The 28-year-old offers a different style of play to Suarez which, according to ​Mundo Deportivo, makes Rodrigo an intriguing option. He can create chances for both his teammates and himself, which could work perfectly in Barcelona's setup. He has a release clause of €120m, but everyone involved knows full-well that he will not command anything close to that figure. Valencia need to raise money, and Barcelona are ready to help them out by signing Rodrigo.